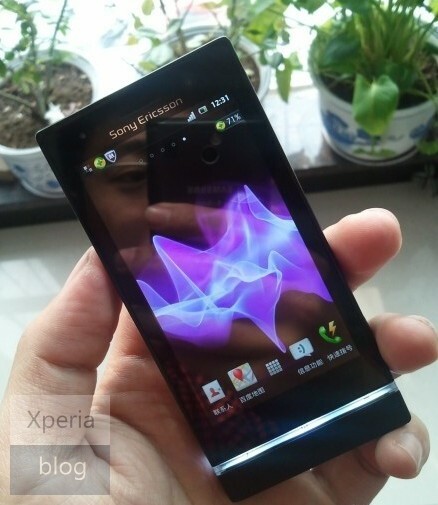 No, this isn’t the recently announced Xperia S by Sony (Ericsson). Infact according to what sources are saying, this might be the codenamed handset ‘Kumquat’ (ST25i) that Sony will be launching soon. If you remember, the name was mentioned in a list of all unannounced Sony handsets which was leaked just a few days ago and judging by the looks and design, it seems to be a more affordable version of the Xperia S.
If that list is the real deal, then we can confirm that the device will launch in April and should cost about 260 Euros. Rumoured specs of the device include a 3.5 inch display with a FWVGA resolution (480 x 854). The handset will run on a dual-core 1GHz processor and will boast a 5MP camera at the back. The handset also has the similar LED strip just below the display like the Xperia S. The Android version is not mentioned, but we presume that it should be Ice Cream Sandwich.